Preheat a grill to medium high heat. Use kitchen scissors to remove the backbone of the chicken. Start at the neck and cut along the bone on both sides of the spine. Reserve backbone for stock or discard. Season the chicken all over with a good amount of salt and pepper. 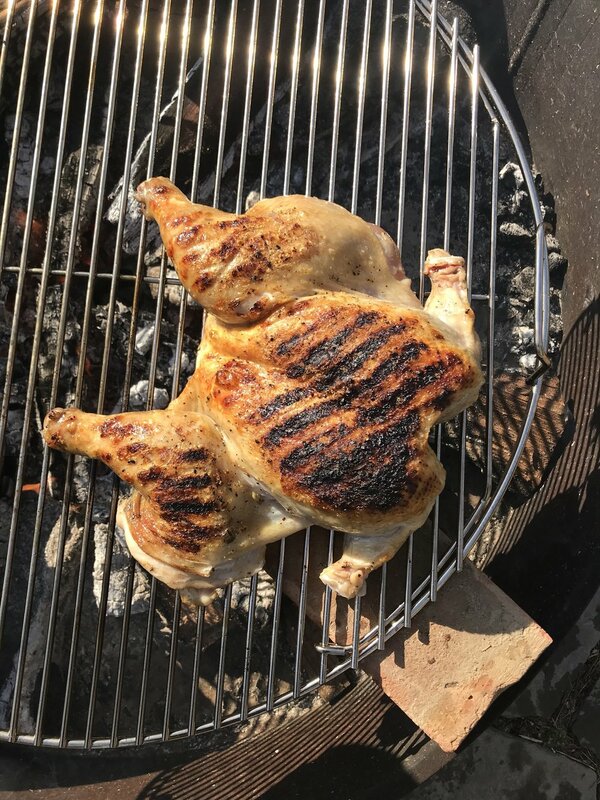 When the grill is hot, place the chicken, skin side down, on the grill in a spot that is not over direct heat. You may need to move the coals or adjust the heat on a gas (or stovetop) grill so that one side is high heat and the other is low heat. Cook for about 25-30 minutes, then carefully turn over and continue to cook until the internal temperature on an instant read thermometer reads 165 degrees on the thickest part of the thigh. This should take another 20-25 minutes. Remove the chicken from the grill and let rest for 10 minutes. 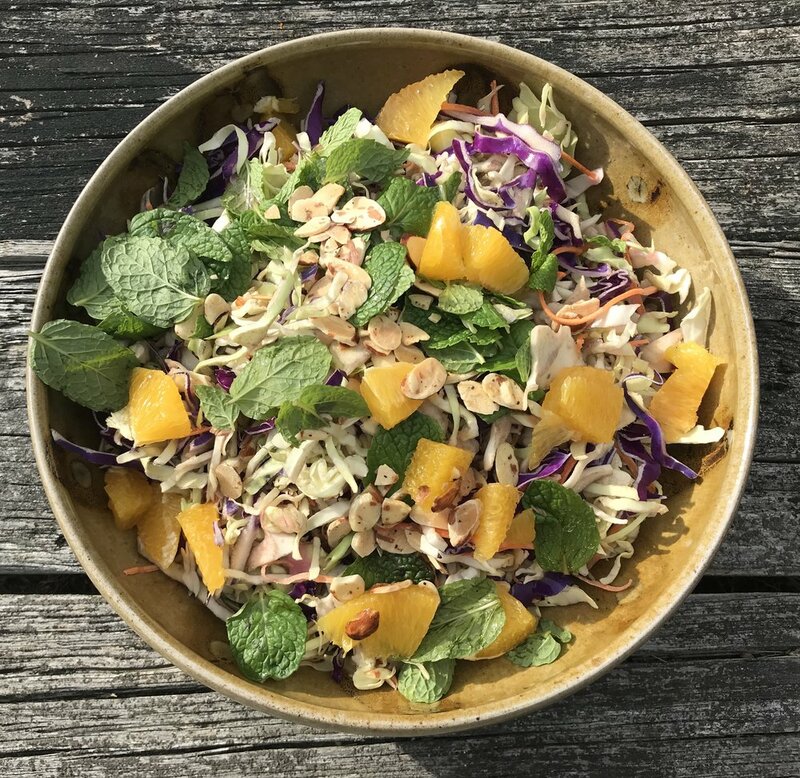 In a bowl, toss to combine cabbage, lime juice, mint leaves, toasted almonds, orange segments, salt and pepper. Carve chicken into pieces and serve over shredded cabbage salad. Season with salt and pepper and drizzle with olive oil to serve.